“For some people Valentine’s Day can be a really difficult time to be single which is why it is important not to wallow about your situation and just get through the day,” said Rena of Irish website Intro Matchmaking. “While there are certainly many single people who are happy to be and enjoying freedom, many of us can find Valentine’s Day a really difficult time to be alone but there are ways in which you can cushion the blow and not spend the evening crying into your pillow,” she said. Dating expert Rena stresses that it is important to recognise that Valentine’s Day is just one day out 365. “My advice would be to realise that it is just one day of the year,” said Rena. “On Valentine’s Day those of us who are single fixate on being alone and Valentine’s Day can often add salt to the wound. “You may think you are alone in this, but in actual fact 1.2m Irish people are single. The majority of those people are hoping to meet someone so look at the positives and recognise that Valentine’s Day is just a day,” she said. If you are having a difficult time coping with being alone on Valentine’s Day, Rena believes the worst thing you can do is to sit at home and wallow on your own. Instead, make plans with your friends who are free on Valentine’s Day. “Think about it this way. Couples will all be out in restaurants and heading with your friends to a busy pub might be a great way to get away from the romantic overkill that comes with the holiday,” said Rena. If your friends are otherwise engaged, the dating expert recommends a night of pampering to keep yourself occupied. Matchmaker Rena believes Irish daters can be quite picky and recommends that you rethink any invitations you have been offered on Valentine’s Day. “A problem with a lot of us is that we don’t take the dating opportunities that come along by the horns,” said Rena. January and February are the most popular months for online dating websites such as Rena’s as it can be a particularly lonesome time of year for single people. The matchmaker recommends that singles use Valentine’s Day as a means to catapult themselves into new opportunities where it is likely to meet someone. “At the end of the day it is you who has to take control of your love life. Channel that energy you are putting into dreading Valentine’s Day into something positive like researching clubs you could join where you are likely to meet someone of similar interests. “If you haven’t tried online dating, it might be a good time to register so that avenue opens up to you too. “Increasing your opportunities to meet someone will make you feel more optimistic,” said Rena. If you fancy them ask them! The majority of us have someone on our minds and Rena believes it might be a good opportunity to confront your crush. While Valentine’s Day might be a bit high pressure the days surrounding it can be a fun time to build up the courage to ask our someone you fancy. “I really believe that if you fancy someone, you should bite the bullet and ask them out. We all have someone on our minds, whether it’s that guy you meet in Starbucks or that girl from Sales and Marketing. “The worst thing they can do is say no,” said Rena. If you’ve recently broken up with someone Valentine’s Day can be really heart-wrenching but Rena recommends you channel this negative energy into something more positive. “Break-ups are a grief of sorts and it’s difficult to lose someone who perhaps was your best friend. “However, the worst thing you can do is dwell on it. 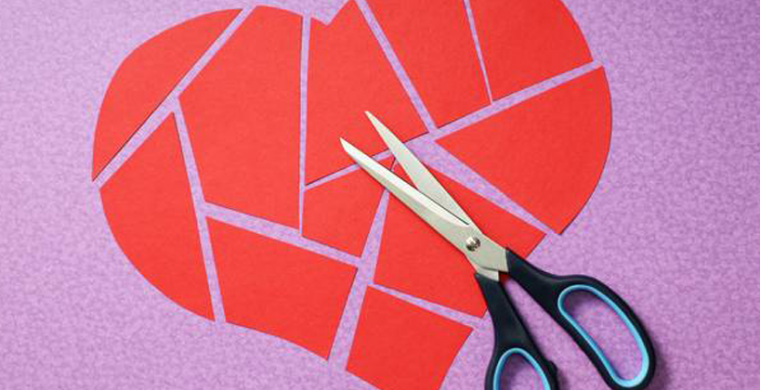 Use Valentine’s Day to make a plan for your future and build up other aspects of your life. “For example exercise can be a really helpful coping mechanism for a broken heart and good for positive mental health. “Make plans and goals for the near future and take care of yourself. Wallowing in self-pity is never going to help you so if you can it’s best to try and pull yourself out of it.